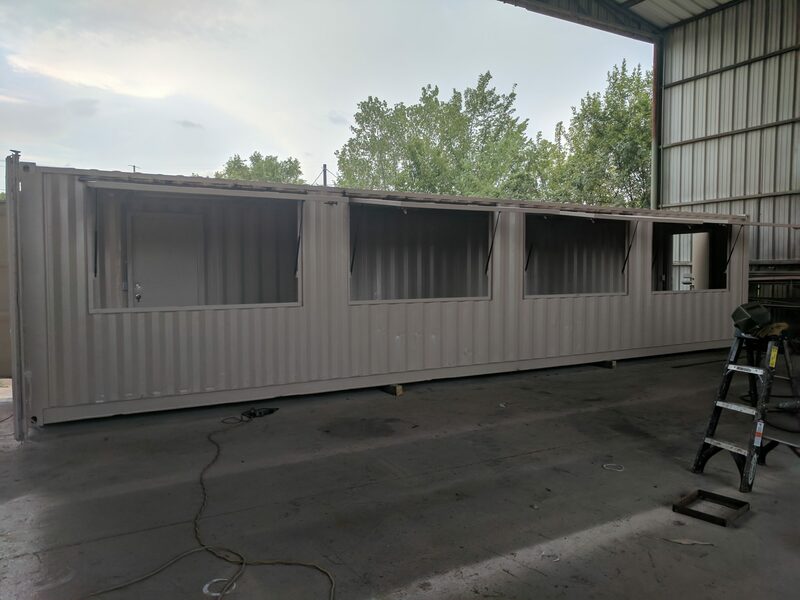 Let us build you a professionally modified 40′ standard shipping container into a Fireworks | Concession Stand and get a jump on the next selling season! 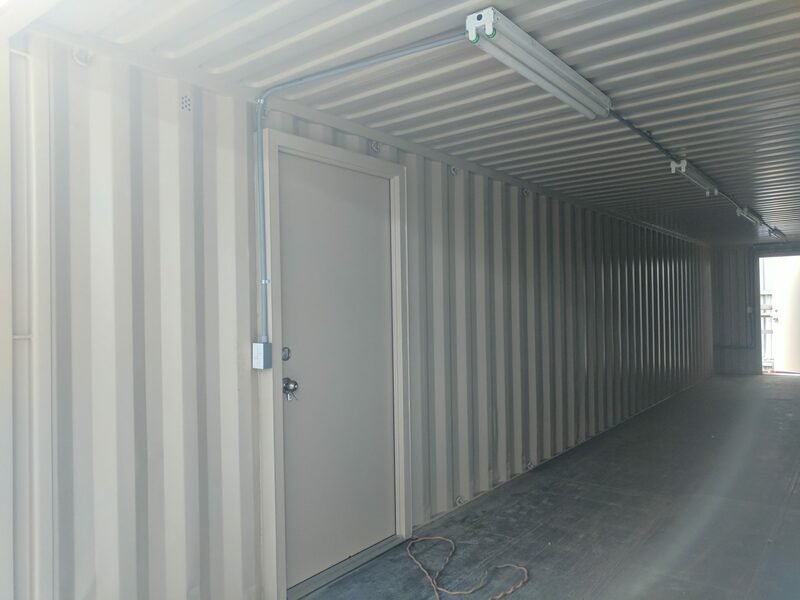 We use only the best materials and superior quality installation techniques to ensure many, many years of useful life. 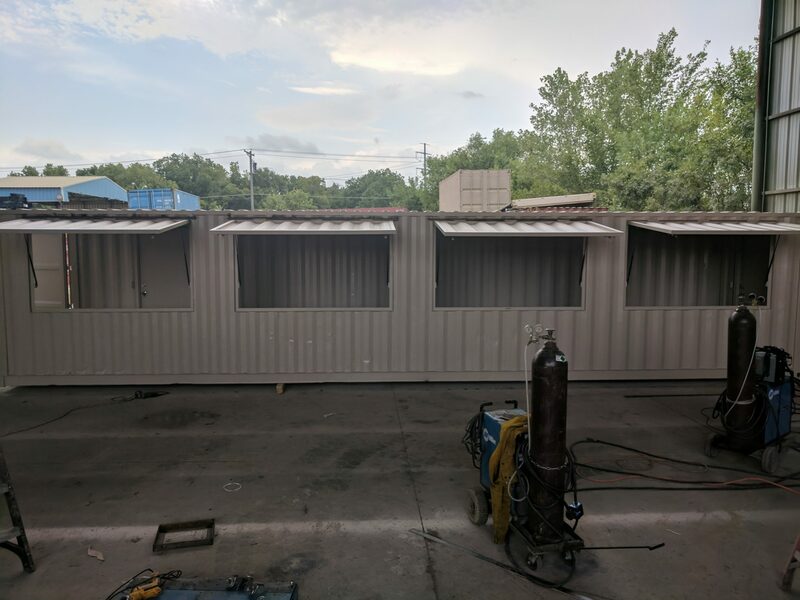 Don’t settle for cheaply built fireworks and concession stands with low-quality materials and inferior installation methods that fail many years before ours. 4 – Sales Windows approx. 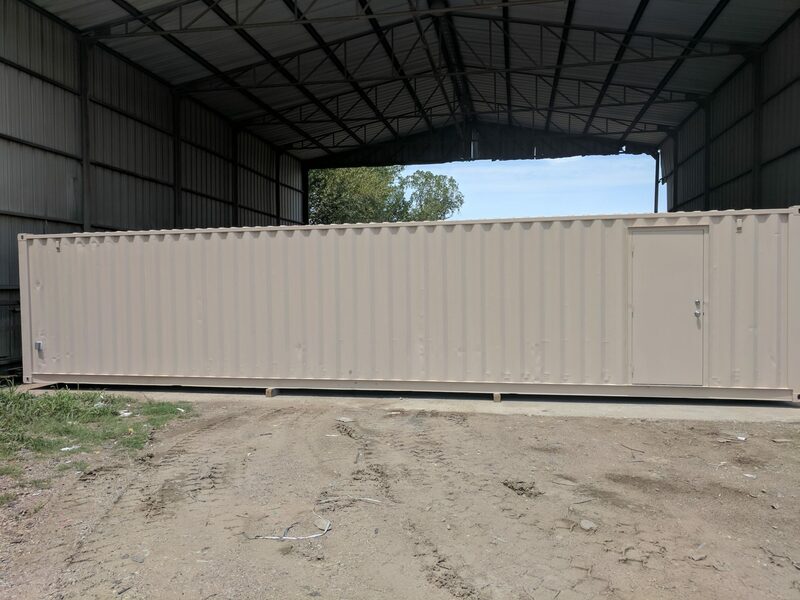 7-ft wide with two hydraulic lifts and two interior locks per door. Framed with weather inhibiting features. 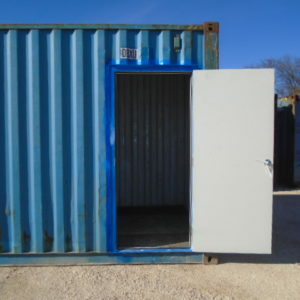 2 – 36″ Steel Personnel Doors (required by fire codes in many Texas Counties and municipalities). 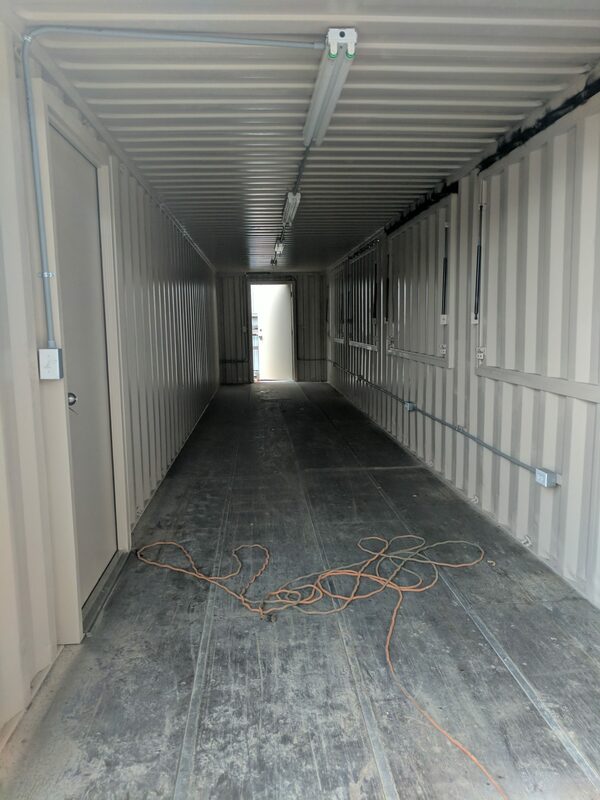 Electrical Package Includes: 4-110v outlets; 3-overhead LED lights and switch, all stubbed out to the rear, ready for your electrician to hook up at your sales site. 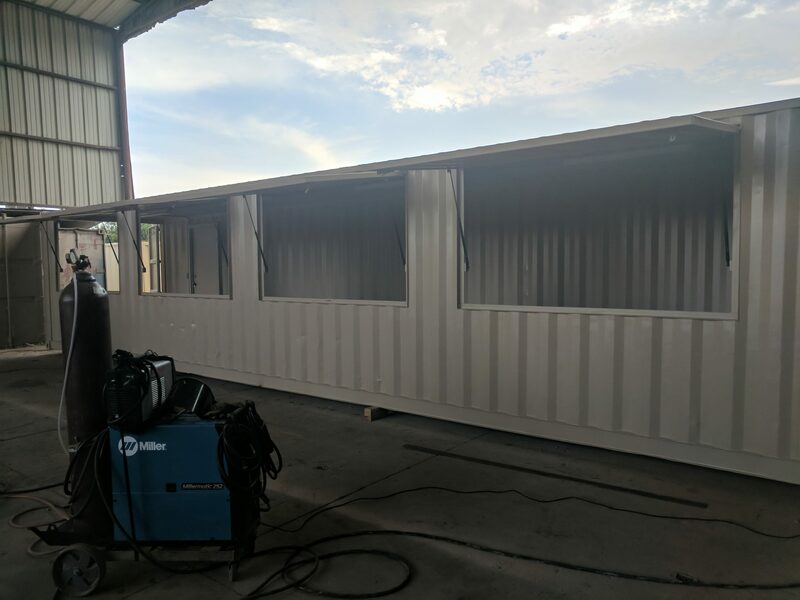 Call today for a quote on the custom stand of your choosing in 20′, 40′ or 45′ lengths! Price is FOB-Dallas. Contact us for a quote which includes delivery to your location!